A man has been jailed for 18 months for burglary after he was identified via DNA left at the crime scene. Sean Fellowes, 44, broke a leaded window at a property on De Parys Avenue, Bedford, in June in multiple attempts to get inside, causing damage costing over £2,000. 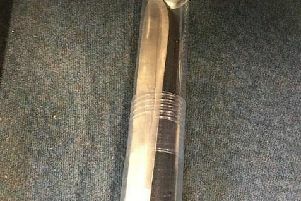 The window was forensically examined by Bedfordshire Police scenes of crime officers, and a fingerprint sample was recovered from a piece of broken glass found outside the house. This was then matched to Fellowes. Detective Constable Jason Wheeler said: “We are really pleased to get this result and that Fellowes has received a custodial sentence. He broke into the property when the family were at home and caused extensive damage. Fellowes, of no fixed abode, was sentenced at Luton Crown Court on Friday (28 September) after pleading guilty. He was also made to pay a victim surcharge of £140.